It is our mission to help make your life better through creativity. We carry materials for Creativity – and the provide the resources you need to use them to create art that is beautiful, functional, and personally satisfying. We carry the beautiful quilt fabrics, threads, and stitching supplies you would expect an independent shop to have, but we also carry acrylic paints, oil paint sticks, stencils, Zentangle supplies and plenty of other inspiring art materials. A visit to the Shoppe is filled with visual stimulation, you are as likely to find a vintage quilt being conserved as you are to find Diana’s latest experiment with some new surface design product – usually there is a little of both. Our group classes and workshops cover all aspects of fabric and paper based art, our clubs offer more personally directed work, and if you need, private instruction or creative mentoring is available. Diana’s unique perspective allows us to love and appreciate art, in all “materials” and to look to the new developments in material and technique that allow for limitless personal expression. Be sure to click on the weekly blog post to the right. We update every Friday and sometimes more often, sharing thoughts, event reminders, photos, new merchandise arrivals, and any number of other tidbits of information. You can also subscribe so that you are notified by email of new posts. 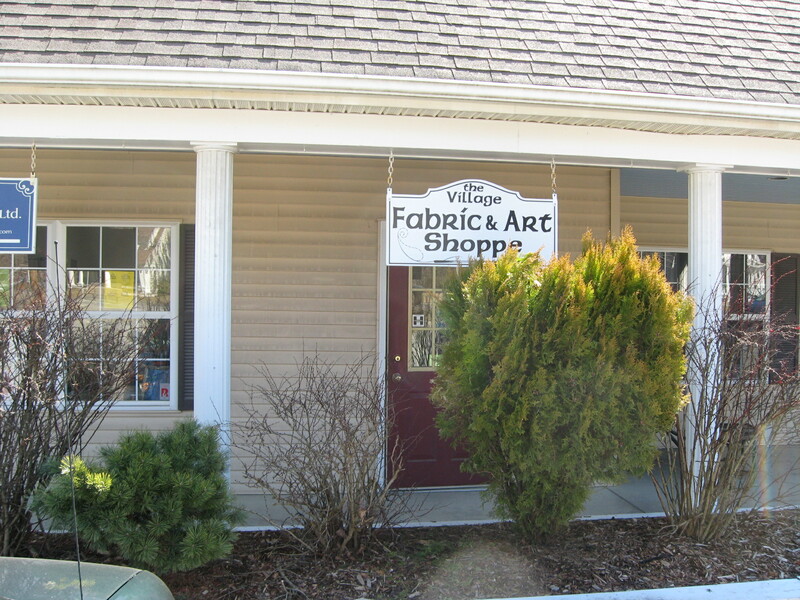 Our posts are also uploaded to our Facebook page so you can keep up there too by liking Village Fabric Shoppe . Our hours are 10-5, Tuesday through Saturday. 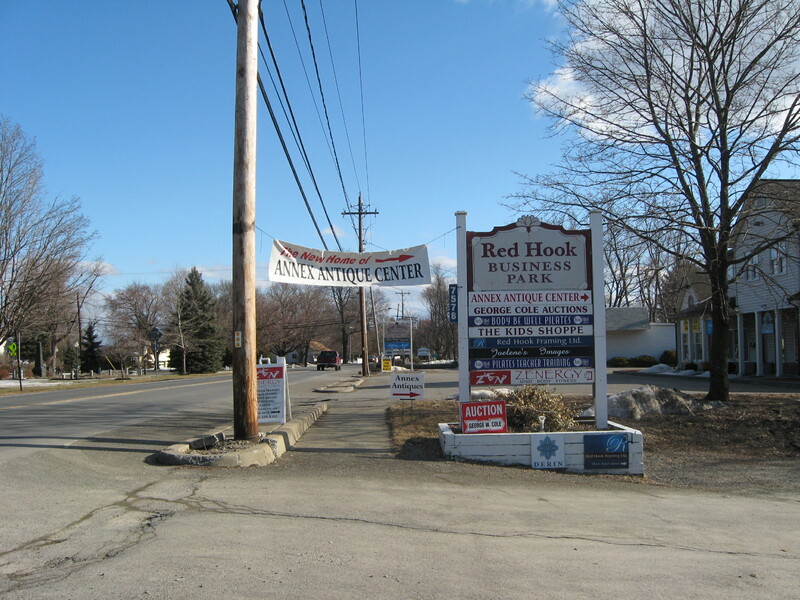 if you are on the East ( Red Hook side ) of the Hudson, take route 9, If you need to cross the river use the Kingston Bridge and follow rt 199 to the main intersection in Red Hook, where Market St and Broadway cross. ( rt 199 and rt 9 ) . You will be making a left at this intersection. Follow directions from the light below. From the main light in Red Hook, head North on route 9 ( Broadway ). on your right you will see a new CVS, we are in the shopping center just past it. Parking in front and behind our building with no time limit. Coming from the North, make the left into the parking lot from rt 9, past Salvatore’s Pizza, the Nail Salon, and J.Peels Coffee Company. 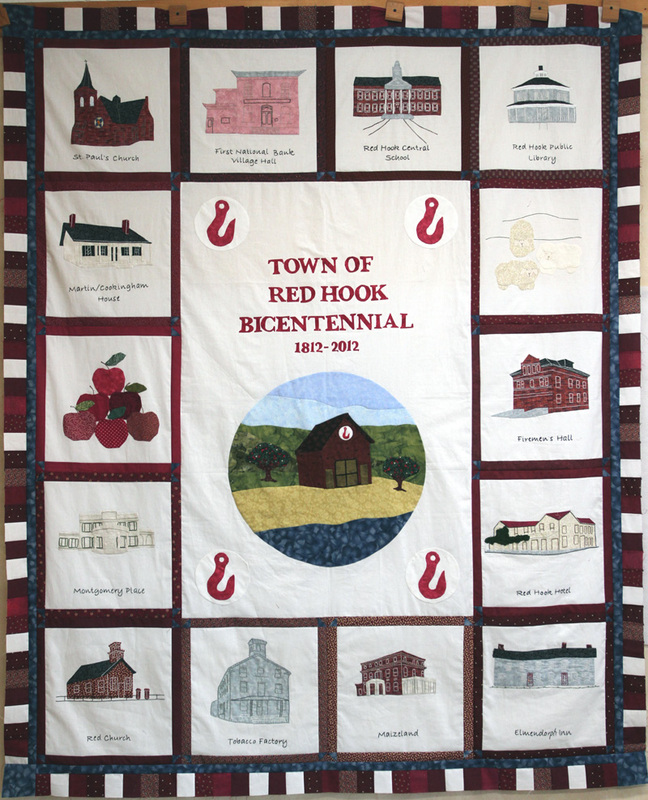 Our town of Red Hook NY, celebrated its Bicentennial in 2012, and for over 25 years The Village Fabric Shoppe has been a part of this community. The quilt we created in honor of the local history is permanently installed in Town Hall. 3 Responses to Come see Us!! Very welcoming!! Pleasantly supprised by wonderful selection and quility. Diana was extremely helpful. Strongly recommend this shop to beginners and pros. That sounds great. I need a class. I have taught myself to make squares, but that is it. I desperately need a class or two! My goal is to make a Halloween quilt.